Write PDF like writing a Word. Manage created PDF document online. 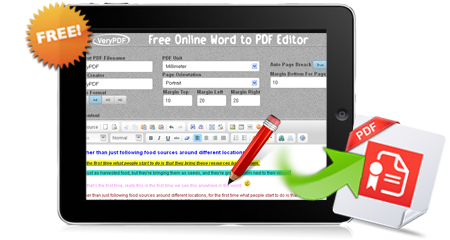 VeryPDF Online Word to PDF Editor is specially developed for creating PDF document online. 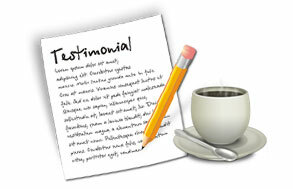 The application enables users to write PDF like writing a Word document in a Word processor. You can freely set font size, font color, formatting style, etc. Then it can save words to PDF document and email to anyone. All Web Browser Applications, Chrome, Firefox, Internet Explorer, Safari, Opera, etc. VeryPDF Online Word to PDF Editor supplies an easy-to-use online word processor for you to input your words and then save to PDF document. So you can write PDF document just like editing a Word file. You can manually write the text or copy and paste the content in the processor according to your needs. After creating PDF document, you are able to manage the documents in the manager of VeryPDF Online Word to PDF Editor which enables you to download, preview or email created PDF document. When emailing PDF, you just need to supply the address of the one that you want to send PDF to. VeryPDF Online Word to PDF Editor is a free online tool which allows users to convert words to PDF document online for free, which can save a lot of money and time if you don't have a desktop application installed on your computer. When editing words, you can also browse HTML codes. Support to write text manually or copy and paste text. Edit PDF like editing a Word. Support to set page size. Support to set PDF unit. Allow to set page orientation. Allow to break page automatically. 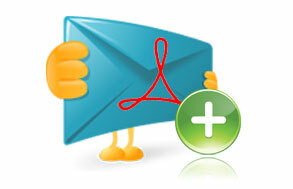 Support to email created PDF. 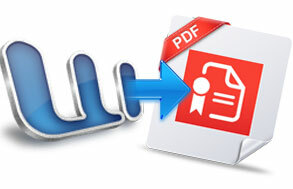 Allow to manage created PDF online.